People are often amazed by how much a professional cleaner can accomplish in a few hours, you can spend less time cleaning if you approach it the way a professional cleaner does. The more you can duplicate these conditions, the more you will accomplish during your own cleaning time.Work from a list – and prioritise. A professional has a clear idea of what needs to be done. List for yourself what you will accomplish during your cleaning. Add a list of extra chores to be done if time and energy permit. Then stick to the list. If you see something else that needs to be done, make a mental note and schedule it for another day. Distraction is your number one enemy when cleaning your property.Get the kids out of the house for a few hours. A professional cleaner does not have to deal with people underfoot. If possible, clean when there is no one else around. You don’t have the distraction of trying to get to jobs at once.Don’t answer the telephone. Every break in your routine is a time robber. Interruptions are far more time-consuming than they seem. Take the phone off the hook and switch off your mobile.Straighten up before you clean. A professional comes into a house that’s ready to be cleaned. Get your house ready by picking up clutter the night before.Set a time limit. Professional cleaners are usually paid by the hour and must work within a certain time frame. Setting a time limit for yourself will keep you moving and on track.Reward yourself for a job well-done. Professionals are paid for their work. Since no one is going to pay you to clean your house, doing something nice for yourself does wonders for your motivation. 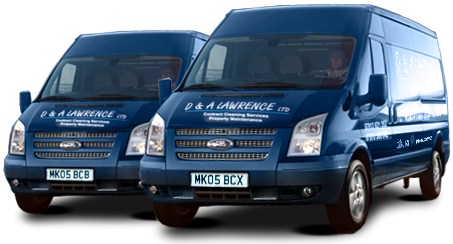 Whether it’s a meal, a movie, or a leisurely bubble bath, give yourself a treat.D & A Lawrence are national cleaning contractors based in Edinburgh.